The G45-GL burner creates an enchanting flame picture when used with Fyre-Gems and Fyre-Glass. 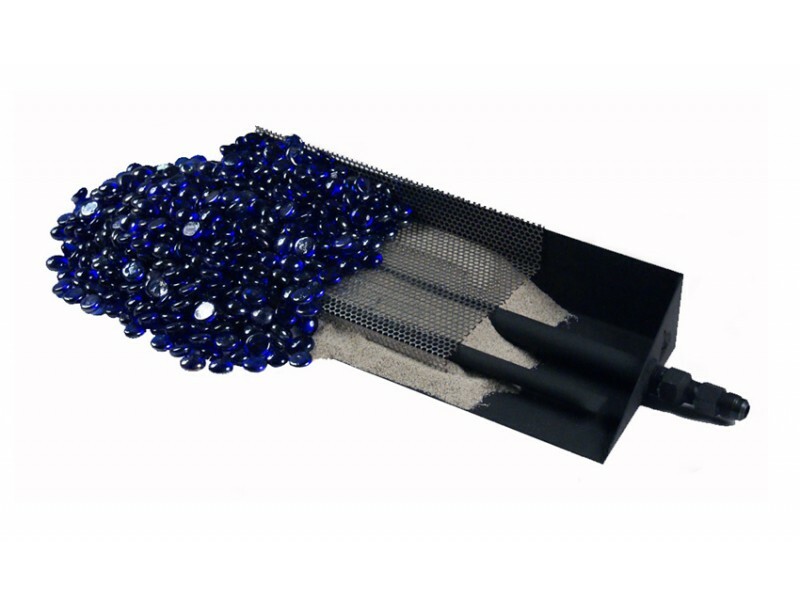 Use sand or vermiculite as the base and save on the amount of glass or gems required. Elevated platform provides the maximum effect of the reflective nature of these products and spread the flame for ultimate beauty and warmth. For G45 glass sets over 30" please call us!